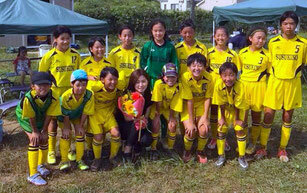 We are "FC SUSUKINO Ladies" a football team for schoolgirls under 12. Our home ground is "Ekoda ground" in Aoba-ku, Yokohama. We have 40-year history since 1979. Last year we won Kanagawa girls football championship. See our facebook page for our recent records.